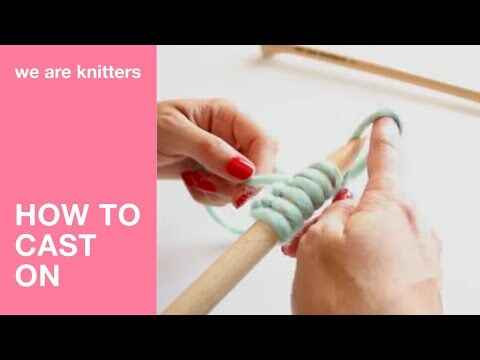 Now knit the next stitch, pass the first stitch over the one you just knitted, and drop it off the needle.Repeat until there is only one stitch left on the right-hand needle. To finish, pull the last stitch and remove the needle.With scissors cut the yarn, leaving a yarn tail a few inches (centimeters) long to weave in later. Pull the yarn through the loop of the stitch and pull it tightly.You’ve now cast off all of your stitches.